One of the goals of internet users is to browse the web securely, but with the increase of cyber crime and online surveillance programs, achieving online security is not an easy task. While there are solutions that promise to help you to secure your browsing, not all of them are effective. TOR is one of the most popular online security tools, but it is far from perfect. 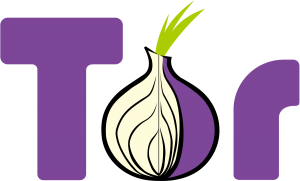 In fact, over the last few years, the concerns around TOR have grown and many people are looking for other options. Before we explore the alternatives to TOR, we will discuss TOR further and we’ll find out why TOR may not be the best choice for those who want to enjoy secure browsing. Originally funded by the US Navy, TOR focuses on privacy protection and it also allows users to bypass online censorship. Thanks to TOR, it is possible to hide your identity and defeat restrictions. It lets you browse, send, receive and share data in a secure way, preventing others from seeing what you do online. TOR relies on virtual channels or nodes, which direct your online traffic randomly. This means that rather than using a direct connection, the path goes through these nodes in a random order, which helps to protect your privacy. TOR promises to be an effective and convenient way to keep your privacy protected. Although for years TOR has enjoyed a good reputation among privacy conscious users, it is not a solution that 100% reliable. For starters, the involvement of the US Navy in the TOR project means that there is a chance that the government has the power to access the data that is transferred via TOR. Many people fear that the government has control over TOR and that a backdoor has been implemented on it. Although there is not enough evidence to support this theory, it is something to keep in mind. After all, even if it is not true, due to TOR’s nature, it is likely to attract the attention of government organizations. Even if you only want to use TOR to increase your privacy and avoid censorship, there is a chance that law enforcement attempts to monitor what you are doing or that at least it puts you in watchlist for using TOR. In addition, TOR has been already compromised. If you use it, your personal data is at risk and it end up being intercepted by malicious hackers. Furthermore, TOR could be targeted with correlation attacks. In fact, this has already happened and it is likely to happen again. This means that even if you use TOR as a measure to protect your privacy, there is no guarantee that it will remain secure. A correlation attack can be used to match your IP address with the IP address of the user you are interacting with. Another thing to keep in mind is that traffic analysis could be used to check your data. With traffic analysis, the router flow records can be checked if a modified TOR relay is injected into the traffic. This then allows to find out the identity of TOR users. Tails provides incredible protection through its easy to use platform that keeps your communications, files and browsing activities protected. Tails uses strong encryption and it is a portable solution that can be used on the go. Tails comes with practical apps that will make your experience with this operating system even more enjoyable. FreeNet is another highly secure alternative to TOR and thanks to the technology that it uses, it is pretty much impossible to hack. It is a P2P platform that relies on two different protocols that combine user interaction and network structure, meaning that your data will be almost impossible to track. In addition, FreeNet lets you use DarkNet or the OpenNet. The first connects with users you have previously exchanged public keys with. The latter, lets you connect securely with other users, without the need of public keys. There is no central server available and hackers won’t be able to compromise it. The data is encrypted before being stored. This privacy add-on lets you block tracking requests on websites that tend to track you, including popular social media platforms like Facebook and Twitter. Disconnect supports Windows, Android and iOS. There are different options available, including premium plans. However, you can use the browser for free. If your main concern is to protect your instant messaging communications, try Tox. This is an alternative to TOR tat secures your conversations using end-to-end encryption and it lets you chat securely with friends and family without concerns. Others won’t be able to monitor your messages. It also supports video and conference calls. Yandex browser supports DNSCrypt, an advanced technology that will help you to enjoy a high level of anonymity. You will be able to hide your IP address and encrypt Domain Name System traffic. In addition, Yandex Browser offers protection against malicious websites that may try to steal your personal data and financial information. It also features anti-malware protection. Easy to use and efficient, Epic Browser provides incredibly high protection for your data thanks to its advanced features such as the capacity to block fingerprinting scripts. Epic Browser will hide your browsing from your ISP and will allow you to use a public network without putting your privacy at risk. Epic Browser also uses an encrypted proxy and it lets you see and block trackers. The Invisible Internet Project or I2P is another good alternative to TOR and it provides a reliable solution to secure your online communications. It is a network within a network and it uses four layers of encryption that will give you anonymity as you send online messages. I2P uses end-to-end encryption, as well as cryptographic identifiers as endpoints. You will be protected against third-party trackers. In general, I2P is faster than TOR, meaning that you will have the chance to enjoy a great online experience. If you use Linux, Ipredia OS is definitely a solution that needs to be considered. It provides the chance to browse the internet securely, you can also download torrents and keep your emails protected. Reliability and stability are the two main advantages of Ipredia OS and this platform uses several layers of encryption. This means that your entire traffic will not be accessible to hackers and trackers. You can also access the deep web with Ipredia OS. Psiphon is a software that supports multiple platforms and apart from being easy to use, it is also effective when it comes to getting around restrictions. Psiphon protects your privacy in different ways. It uses VPN and SSH to ensure that you can access content without issues and without putting your privacy at risk. It offers a layer of protection against online surveillance and other threats. With Psiphon, your real IP address is hidden, which gives you anonymity and allows you to overcome restrictions that are based in your location. There is a pro version available and you can also find apps for Android and iOS. Although it is still quite new, Brave Browser has gained popularity due to the fact that it is easy to use. It also offers fast performance and strong protection for your privacy. The browser hides your identity and it also blocks trackers. You can enjoy your browsing without putting your data at risk. Brave Browser is also able of blocking ad tracking requests.